Xanten – After the takeover by the Röchling Group, the plastics processor Schwartz GmbH Technical Plastics will be known by a new name: Röchling Industrial Xanten GmbH. The company was taken over at the end of 2018. With the change of the name, Röchling is consistently continuing the integration of the new subsidiary into the international group. The new name, Röchling Industrial Xanten GmbH, illustrates the company’s affiliation to the Röchling Group, and above all, highlights the strategy of the Industrial Division which is incorporating the Xanten-based plastics processor. The Industrial Division processes thermoplastics and composites for almost every industry worldwide. The new company name consistently focuses on the industries and thus on customers. Through the new technologies, Röchling Industrial is reinforcing its competence in conveying and lifting technology, oil and gas, intralogistics and elevator construction industries. 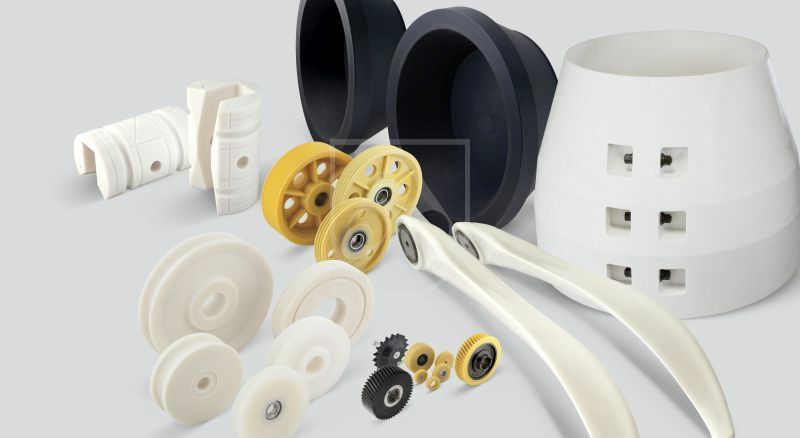 The Xanten-based plastics processor specialises in the production of cast polyamide, and in particular, offers large volume and heavy-duty ready-made engineering plastic parts to virtually any industry. Over 240 employees are currently employed at four sites in Germany, the Czech Republic, China and the USA.